Last year, spurred on by my neighbor’s enthusiasm, I attended one of the monthly events. As soon as I arrived, Blake and John greeted me as a newcomer to the “crop swap.” Its purpose is to share the wealth which is produced in yards, farms, and ranches all over East County. Another benefit is the connections made with those who share similar interests in gardening, healthy eating, and community. With my three jars of olives salt-processed over the winter and a half dozen fresh eggs, I headed to one of the full tables. The monthly Saturday afternoon gathering is located at The Jamul Community Church on Jamul Drive off Lyons Valley Road. It’s a pleasant outdoor site for the monthly exchange on a patio with stone and tiled tables. Natural spring colors and textures adorned each table. Cut flowers of tall yellow-bloomed perennials in buckets and small bouquets of roses, sweet pea, and daisies shared the first table with lemons and large sprigs of oregano. At the next were blood oranges, halved and on display, with sliced chunks of white turnip to taste and monstrous grapefruits to take. At another were bags of dimpled oranges, strange bumpy lemons, and oregano plants in pots. Not only is everyone encouraged to “shop,” but I was struck by the generosity and the encouragement of my East County and Jamul neighbors to partake of their offerings. It’s just one more option for getting into more healthy food and a chance to share the bounty. Youth members of ARCHES have launched this produce exchange to encourage community members to share excess produce and crafts with their neighbors. Please bring your fruits, vegetables, plants, herbs, eggs, flowers, crafts or anything homegrown to trade with each other. 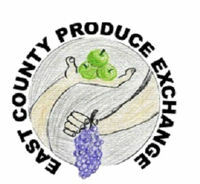 The 2012 Kickoff East County Produce Exchange began in January 2012. If you want to join in the fun, sign up for email notification for dates and times at eastcountyproduceexchange@yahoo.com or check our website athttp://www.ecproduceexchange.org . The A.R.C.H.E.S. website is http://www.archesinc.org . 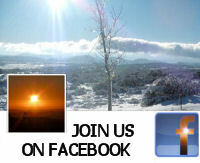 Visit us on FaceBook @ EastCountyProduceExchange. The next Exchange is scheduled for Saturday, February 25, 2012 from 9:30-11:00 am at Jamul Community Church 14058 Jamul Drive, Jamul. Master Gardener Lois Young will be on hand to answer your gardening questions.